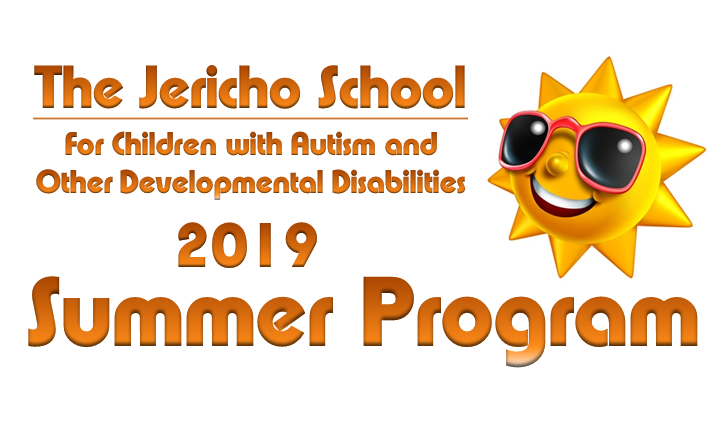 The Jericho School is now accepting registrations for the 2019 Summer Program. This is not a Summer Camp where your child learns new arts and crafts. This will be four weeks of intensive Applied Behavior Analysis and Verbal Behavior services for children with developmental disabilities. Each child will receive a comprehensive and Individualized Program with identified goals and objectives for acquisition of targeted skills. You can choose two weeks or take advantage of all four weeks for the Intensive Individualized Summer Program. THERE ARE LIMITED SPOTS FOR THIS PROGRAM! Last year we were at full capacity and we expect to fill the available spots in a short period of time.